Please note: Since Pearls are made by oysters, this is not a vegan fibre. 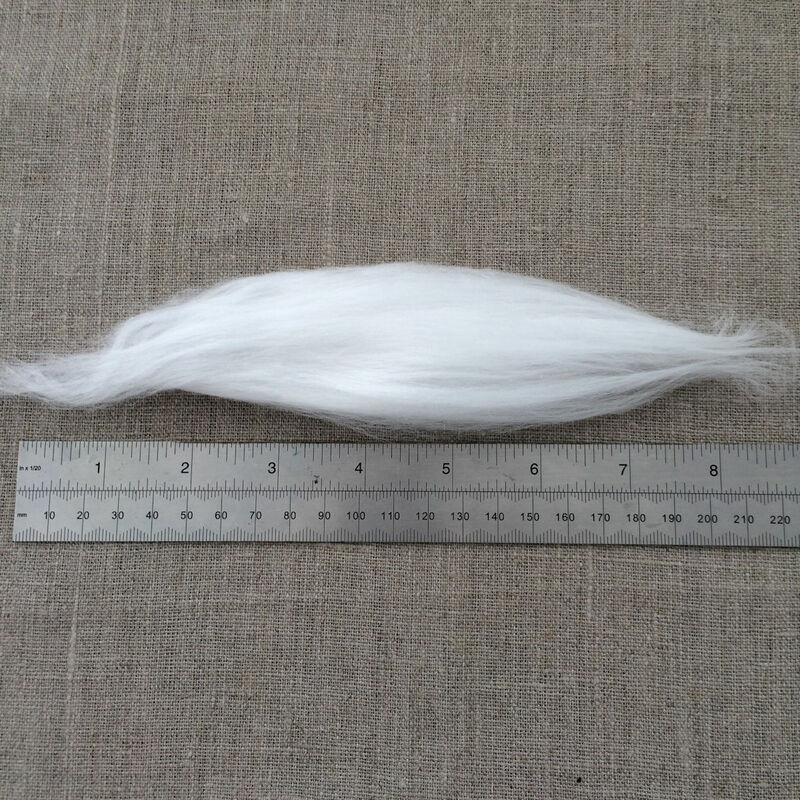 Pearl fiber can also be used for making doll hair, as well as wet or needle felting or papermaking. 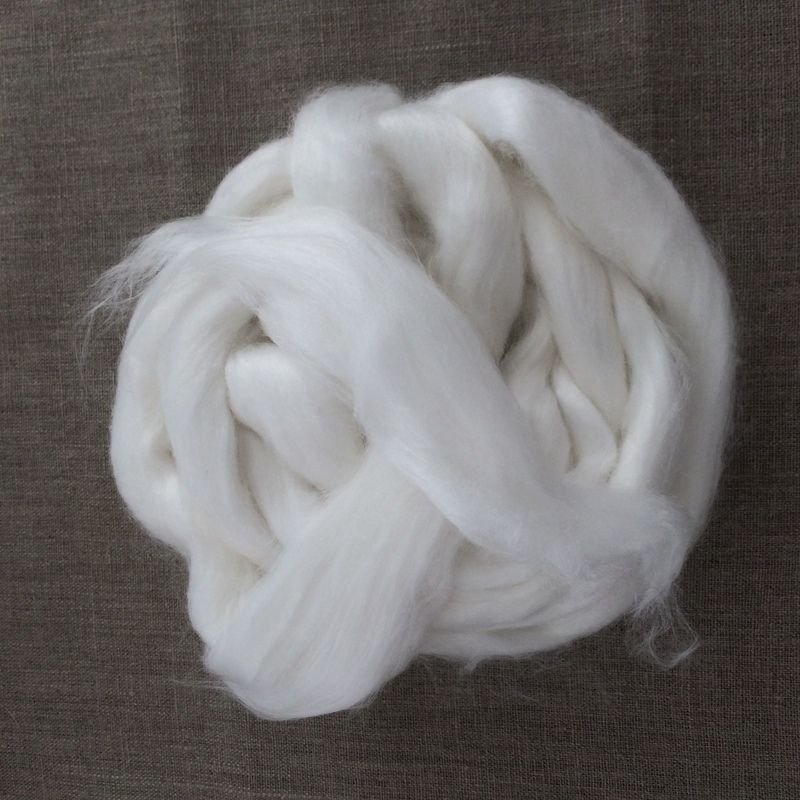 Pearl infused roving can be dyed using natural plant dyes and mordants or other dyes suitable for cellulose fibres. International Shipping costs have been calculated on an average weight and price based on the total price of your order. Shipping costs will be added by Paypal when you check out. To view the standard shipping rates please see Shipping Rates. For larger orders, please contact me to set up a custom order.